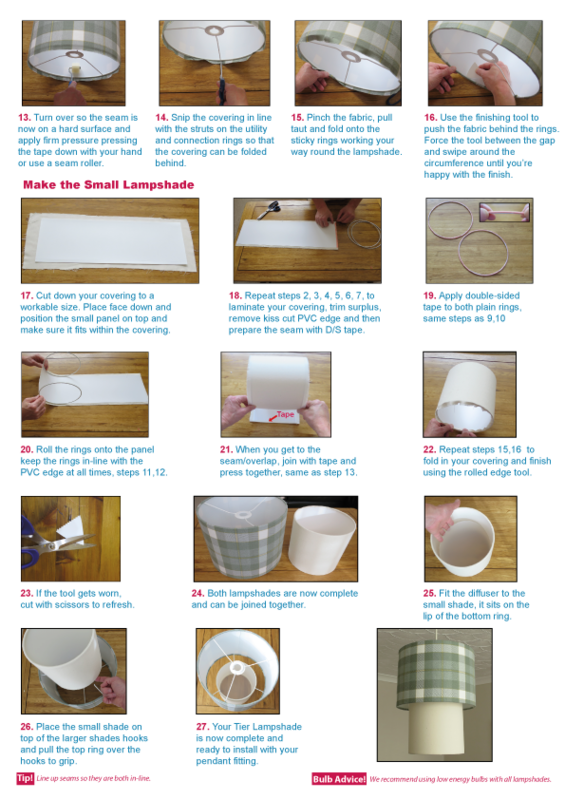 Our kit makes you a professional Tier lampshade using your covering of choice, any textile or wallpaper can be used. Combine your textiles and wallpapers to create your own unique look. Easy to make follow the full-colour instructions supplied with the kit which can be viewed below. What size does my covering need to be? 1276mm x 278mm to cover the self-adhesive panel supplied for the 40cm lampshade. 963mm x 238mm to cover the panel for the 30cm lampshade. The lampshade frame included in your kit will fit the standard bayonet cap (BC) pendant lamp holders. This is the most common type of lamp fitting in the UK today.